Whether you are planning a local move or looking for a specialized professional long distance mover, we have a network of trained specialists that can take you where you want to go. Great service and attention to detail is the foundation of our company. Bow Valley Moving is your one-stop local and long distance moving company. We have proudly served Canmore, Banff, and the Calgary region since 2004. We “specialize” in moving retiree's and families from Alberta to beautiful BC. Bow Valley Moving is bonded and insured. Our team is experienced and trained in the careful handling of your valuables. We a‍‍‍re a federal carrier, with the proper credentials to legally transport your goods safely across provincial lines. Bow Valley Moving Company specializes in moving from Alberta to British Columbia. We will provide you with a flat rate price where there are no hidden costs or extra fees. Bow Valley Moving is a proven business that prides itself with strong family values and great work ethics! 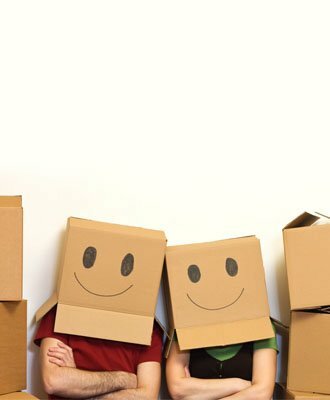 We know the needs and concerns of families that are relocating which is why we provide the best moving services possible. With strong commitment to our principles, we are dedicated to doing things right. We have done 14 moves involving 3 countries and Bow Valley Moving's (a.k.a. MovingYouHome.Com) Team were the best and most professional set of guys we have ever had the pleasure to have worked with. Their head packer has had over 30 years commercial container packing experience and it showed. Nothing arrived damaged. They were extremely responsive to our request for a quote. The head of the firm responded within an hour of our inquiry and brought one of their trucks to our house when preparing the quote to show how clean and we'll equipped their vehicles are with Air Ride suspension to minimize road vibration on cargo contents. They were extremely efficient during the move, adding extra people as needed to pack and load simultaneously. We saved half a day on our move time as a result. Great job, great people to work with, and very reasonably priced with no hidden extras! From beginning to end Randy was a pleasure to deal with. He was on time, followed through on every detail. He has handled moves for my family before and we can't recommend him in strong enough terms. He is excellent and totally trustworthy! Randy pulled through from start to finish and did exactly what they said they would do to the minute. Trey and Joel were very friendly and showed a lot of experience in what they do. Would recommend to others. Excellent communication from start to end. Randy made sure that the move was on time and on budget. Wonderful to work with. Very happy with our move from Canmore to Revelstoke. Honest, fast, polite and no hidden fee's!!!! We just moved from Calgary to Kelowna, and using Bow Valley Moving made our trek fantastic! Movers were friendly and kind, and worked around our requests. Plus, a flat fee (very reasonable) made financial planning a breeze. Thank you so much Randy and team! We will use you again in the future! Those looking, look no further - you won't regret choosing this company for your move. my estimation. He also does flat rate pricing, which I loved as there are no surprises when the movers arrive. He and his crew moved my things across provinces within 2 days and despite our new location being a difficult traverse to a top floor suite they managed to get our things delivered in great condition--nothing was broken! This company shatters the stereotypes of movers. They were clean, polite, very quick and efficient, and there were no surprises with price or any shady tactics. After using Bow Valley my faith in the moving industry is restored. It would be hardly an exaggeration to state that they not only met my expectations, but they blew them away! A very honest, efficient, and reliable company and I would strongly recommend them to anyone who is looking for a move in Western Canada. Excellent moving company in the Bow Valley. Movers were prompt, courteous, hardworking and very careful. Randy and the boys were great. Professional, friendly and a fraction of the price of their competitors. Would not hesitate to recommend BV Moving to anyone. These guys were great! Very accommodating. Would recommend. In early April 2016 we moved from Cochrane Alberta to Penticton BC and used the services of Bow Valley Moving. It is a little unnerving to put all your possessions in the back of a truck with someone else at the wheel in the hopes that they all arrive at the destination on time. that said, the crew showed up in Cochrane on time, and loaded with care and efficiency and the house was empty by 1:00 pm. it arrived at the new house the next morning at 9: 00 and the task was completed before noon. all staff were courteous and careful with our stuff and we recommended Bow Valley to family who are moving from Edmonton to Calgary. the price was fair and with no surprises/surcharges. My husband and I used Bow Valley Moving from Canmore to Calgary, and were extremely impressed with the speed and quality of the work they did. As a person who has hired movers more than 10 times, these guys were the best I've ever used. All our things arrived without damage, they did no damage to our walls, and they were right on the quote we were given. We choose three companies to provide quotes on our move from Calgary to Kamloops the end of Sept 2015. We selected Bow Valley Moving after our meeting with Randy and reading previous reviews. 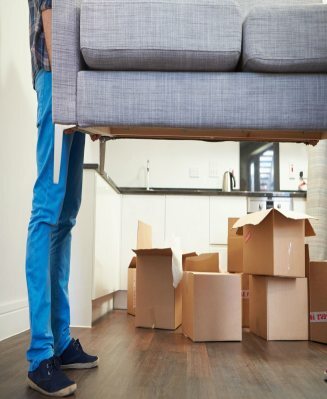 We would highly recommend Bow Valley Movers for the following reasons; they showed up on time for both the loading and the delivery, the movers were professional and knew what they were doing, they handled our belongings with care and we experienced no damage, the final price was the price we had agreed on. Moving has to be one of the biggest stressors, especially when you hear the horror stories out there. If we should ever move again we will be using Bow Valley! Thanks to both Joel and Will for the exceptional service while loading and unloading! I have used Bow Valley Moving Company for a couple moves and they are amazing. They take the stress out of moving by being on time, getting it done fast and safely. Their staff are always very careful with my furniture and art, and I really appreciate how accommodating they are in placing my things. They even helped me put my office desk back together! The best choice for making your move a smooth and stress-free experience. I just moved from High River AB to West Bank BC and would highly recommend Randy and his team at both ends of the move. They were helpful, polite friendly, efficient, careful with belongings and knowledgeable about the move. They arrived on time and delivered belonging safely and I experienced no damage. Excellent work guys. I'd hire you again in a heartbeat. We have used Bow Valley moving four times now. They are very professional, always on time and take very good care of our furniture and walls! We have some very heavy furniture and there has never been an issue. We will be using them again at our next move! My experience with the Bow Valley Moving Company during my cross-town Canmore move was excellent. All individuals were highly efficient and very pleasant to deal with. I was especially impressed with Joel who was sick with a throat infection on the day of the move and powered through the work with no complaints. This company is highly recommended by me! This is my second experience with Bow Valley Movers the first was four years ago. They showed up on time, were very pleasant to deal with and took great care to understand my concerns before starting. My furniture is very heavy and bulky, it took 20 men hours to complete my 1 km move, I can tell you that there is not a scratch on any wall in either place. Nor did any of my furniture have damage. This company takes customer service very seriously and I would highly recommend them. I certainly will use them again when the need arises. Thank you BVM you once again made a very unpleasant experience of moving, positive. Regards: Michael Marcotte Canmore, AB. We hired Bow Valley Movers for a move from Calgary to Coldstream. From the initial estimate to final payment the owner Randy was very honest and helpful. The team showed up on time and worked very efficiently. They were professional and friendly. Our belongings arrived safely to our new home. The team did a great job despite a challenging driveway and high temperatures. I would highly recommend this company. home and provided a written quotation. Our furniture was very well taken care of and arrived without any damage. The workers were efficient and polite at both ends of the move. The final bill was exactly as quoted. The company went out of their way to accommodate our move-in date. We highly recommend this moving company. I would like to thank Bow Valley moving for being extremely accommodating and wonderful to deal with during my recent move. The movers were punctual, friendly, considerate and helpful. They also treated my home's contents with extreme care. Nothing was dropped, thrown or dragged. I was very impressed with their customer service. I would highly recommend them.